The District Department of Transportation (DDOT) announced that the closures on 14th Street NW and F Street NW will remain in place while DC Water continues to repair a damaged sewer line at this location. DC Water and contractor crews will work 24 hours per day until the repair is complete and it is likely that this activity will continue beyond tomorrow evening. 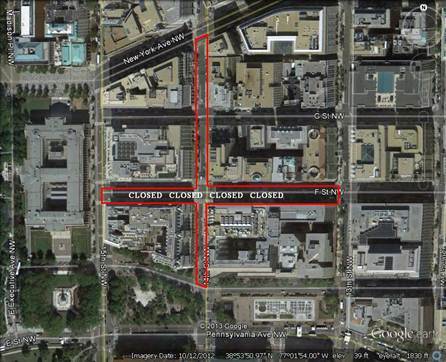 The sidewalks and crosswalks along 14th Street NW and F Street NW remain open. Repair activities may require for the crosswalks to be temporary closed at the 14th and F Street intersection.